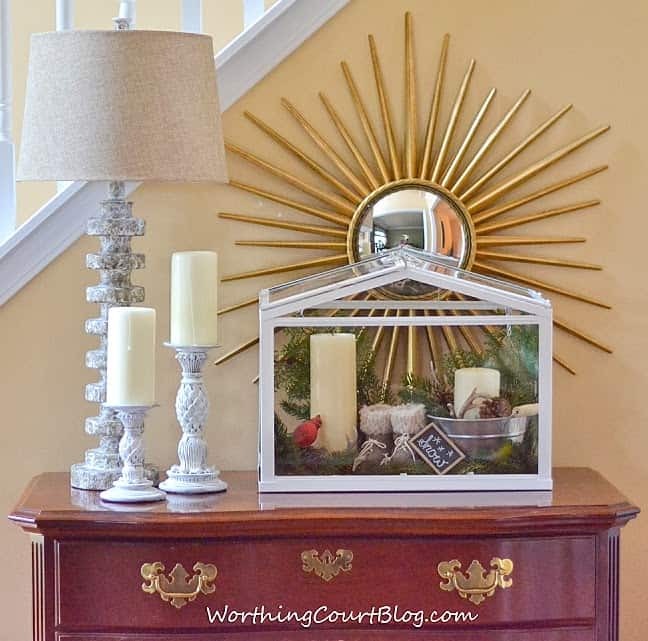 UPDATE: Enjoy this winter vignette in the foyer of our former home. We’ve moved and are giving our new-to-us home a complete remodel. I’ve completely changed my style! Click HERE to take a look. I don’t normally change the decorations all over my house for every season or even for every holiday. 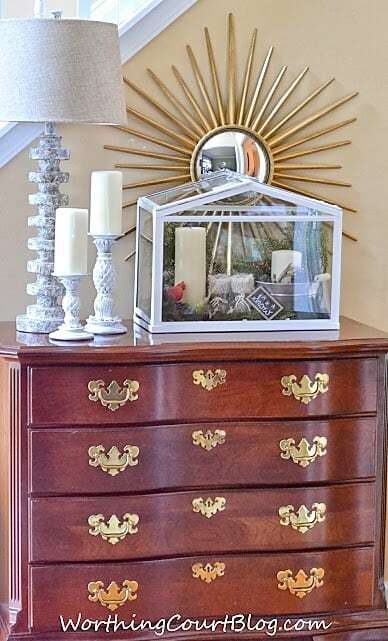 But one place that I do like to change often is the chest in my foyer. This little chest is the first thing that my guests see when they enter my home. 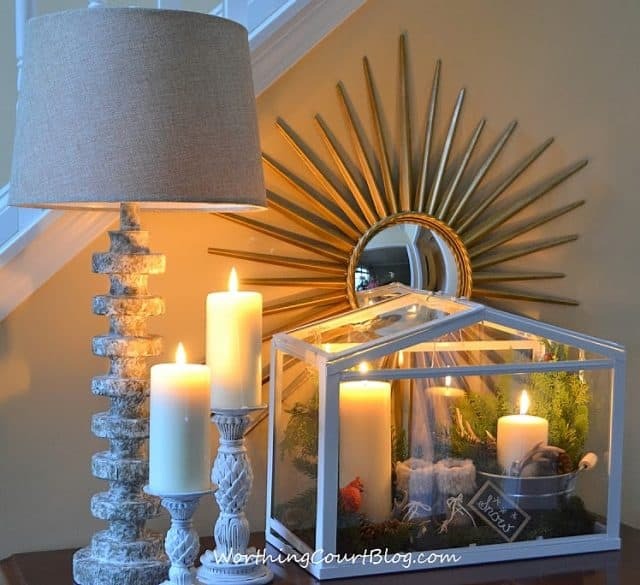 A winter white vignette is perfect for brightening any space on the dreary, overcast days that frequent our skies in January. The entire terrarium display was inspired by these adorable tartan plaid mini ice skates. And a cute little cardinal adds a pop of cheery color. When the candles are lit in the evening, the whole area glows and creates a cozy ambiance. 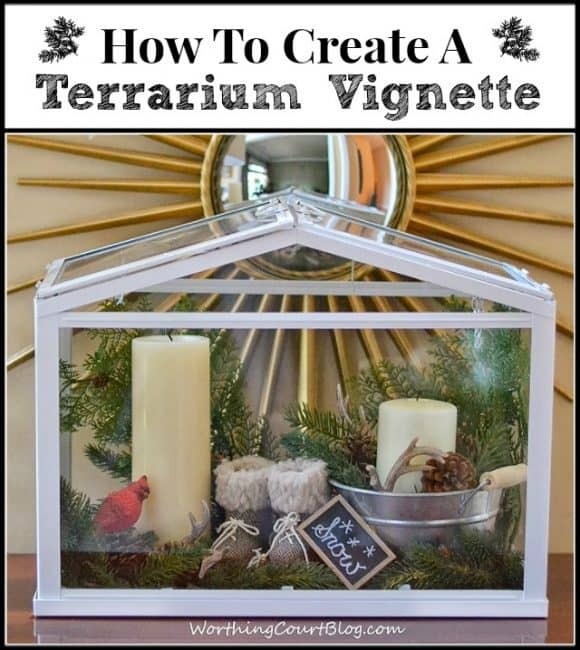 Putting together a display in a terrarium can be intimidating, especially if you’ve never tried it before. 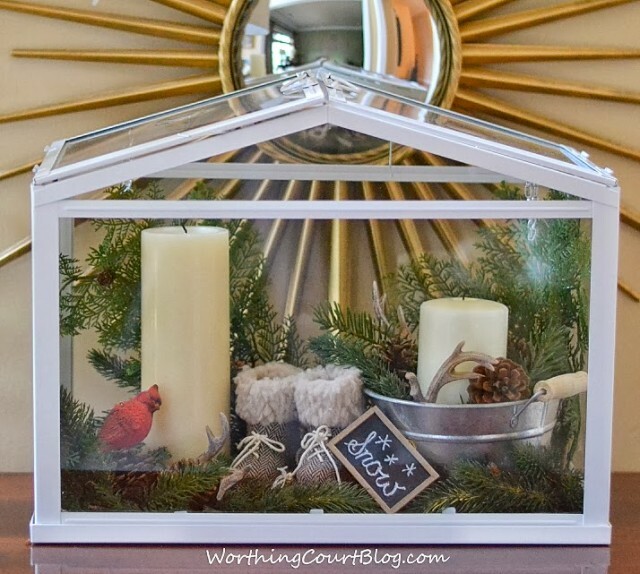 Click HERE to get the easy steps for creating your own display. Looking for some more winter inspiration? Check out my Winter Porch. Oh Suzy, I love this vignette. The terrarium is so pretty. I got one as a Christmas present this year and can’t wait to use it in the new house. Love the little boots, too cute!!! Thank you, Cynthia. I can’t wait to see what you do with yours. 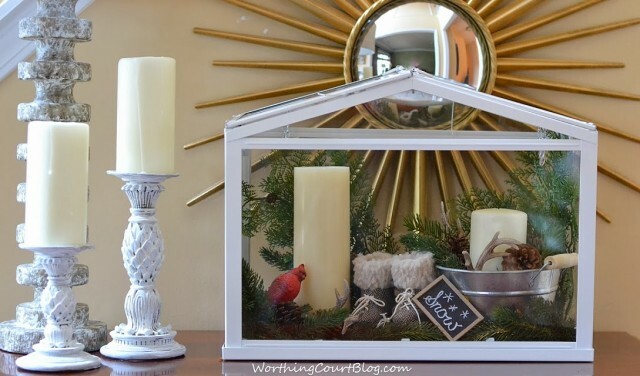 Some people are so talented when it comes to creating a mini wonderland in a terrarium. 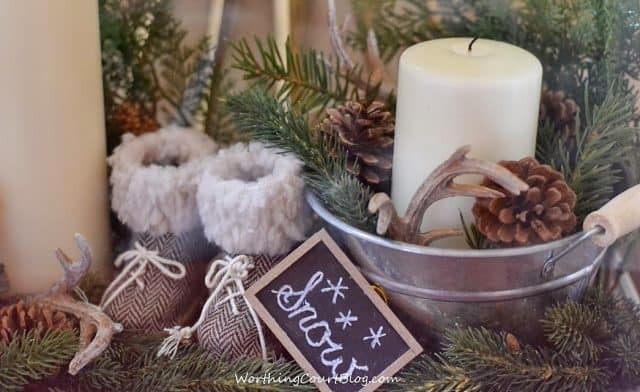 Suzy, This vignette is adorable and just wintry perfection! LOVE everything in the terrarium. What a clever idea. very fun ideas. 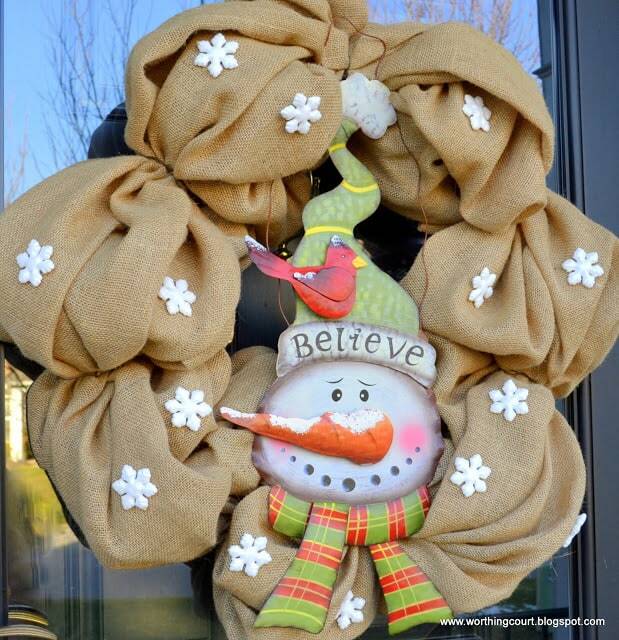 I love winter decorating after all the busy Christmas stuff is down. much more peaceful…. Suzy you’re so talented! I love that wintery look!